How to Attract Men with Scent? 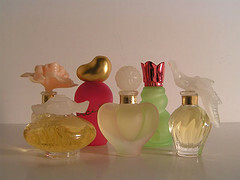 This entry was posted in Beauty Treatments, Hygiene and tagged attract men, scent, smell on July 27, 2011 by Marjorie. This entry was posted in Beauty Treatments and tagged brand, fragrance, notes, scent, summer, women's perfume on July 12, 2011 by tina.